There's a booking site showing what seems to be error prices on flights from Toronto to Dublin, Ireland with British Airways for $290 CAD roundtrip including taxes. The only booking site showing these is Hop2, regarded as a very low quality booking site, so I don't have much faith that they can actually get these ticketed for the price they are showing. I would expect a call from Hop2 claiming they couldn't book them. But there have certainly been cases of low quality booking sites being the only one showing a mistake price, and having it actually work out. The flights all seem to have at least 1 stop in one direction (sometimes 2), and 2 stops in the other direction. I'm seeing a similar error out of Calgary on flights to London Heathrow (LHR) through another low quality booking site (ClickMyTrip). IMPORTANT: Do not call Hop2. If there's any chance of these actually being ticketed, calling will prevent that. There are likely many more dates than this showing the mistake prices. Try Monday to Wednesday dates. 4. Click through from Skyscanner to Hop2. 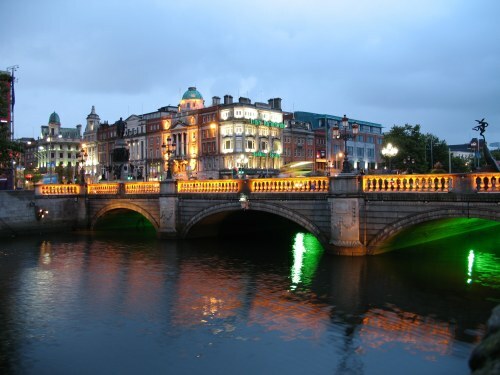 7 Responses to "Toronto to Dublin, Ireland - $290 CAD roundtrip including taxes | probably not bookable"
October dates went away when I was checking out, unfortunately! Looks like they're no longer available. Just tried to book this, have received the first confirmation but not the tickets yet. Will keep everyone posted if it's successful! I did the same thing and am also waiting for ticket too. Hope it pans out. So far - still no tickets and Hop2go has NOT taken money from my CC. I am going to assume this was a dud deal. Unfortunately Hop2 and ClickMyTrip were definitely not able to get tickets issued for this one. So far, the CheapOAir bookings are still sticking.